Established in1973, Mangla Industries is one of the major units manufacturing Iron and Steel Wire items for general and industrial use. Our main line of business is manufacturing of Iron and steel wire Handles to be fitted in plastic buckets, plastic paint buckets, baskets, drums, basins, tubs, blow moulded containers and tin paint containers . Mangla Industries is one of the major units manufacturing Iron and Steel wire items for general and industrial use. Our main line of business is manufacturing of Iron and steel wire Handles to be fitted in plastic buckets, plastic paint buckets, baskets, drums, basins, tubs, blow moulded containers and tin paint containers. 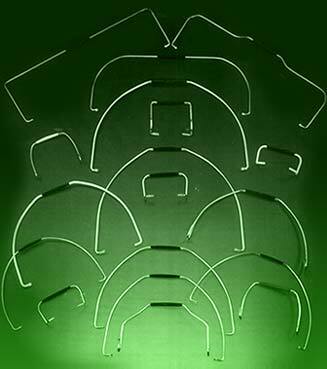 Established in 1973 we offer quality metal hanger's hooks which are of having quality & durance. We are exporting Iron handles which can be used for various household purposes. Also into steel wire handles to be fitted in blow moulded containers, handles for plastic buckets & drums and also offering handles for misc. types of buckets and containers.